Proto: Volume 1 was professionally created to imitate the look of numerous still picture cameras, including instant, vintage, and hipster looks. 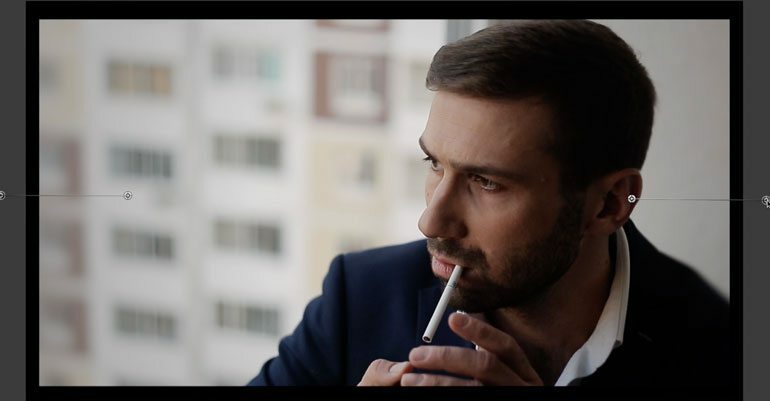 With 50 different photographic presets to choose from, Proto: Volume 1 can give any film footage the perfect photo look. Use the on-screen controls in the FCPX Viewer window to customize the focal point of your image. Simply grab control of the handle to control the position of your blur in the image. Then use the slider in the FCPX Inspector to calibrate the amount of blur. From last decade to last century, make your film look like a blast from the past in Final Cut Pro X with Proto: Volume 1 from Pixel Film Studios. 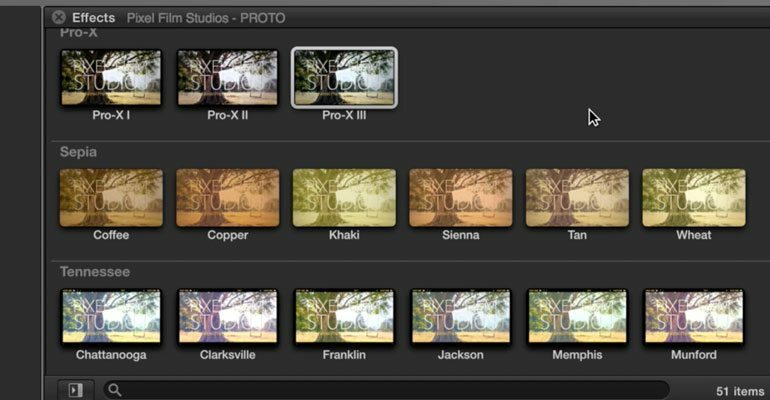 From sepia tones to instant photo looks to color burns and vignettes, Proto has every photographic effect you would ever want for FCPX. Proto: Volume 1 was professionally designed to work seamlessly inside of Final Cut Pro X. As a FCPX effect, Proto: Volume 1 plugins can be dragged and dropped onto your footage and previewed in real time without rendering. With easy-to-use controls that can be found in the FCPX inspector, you can calibrate your photographic look in a few clicks of a mouse. 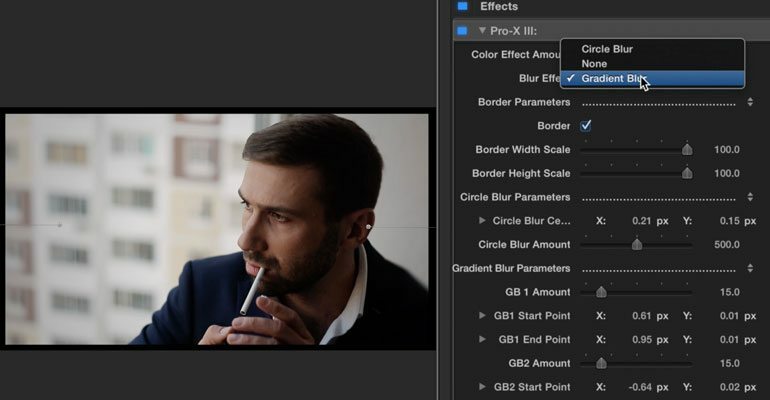 Learn how to create and customize your own photo filters directly inside of FCPX with the Proto: Volume 1 Lesson. Let’s begin by selecting our footage from the FCPX media library. Then locate Proto: Volume 1 in the FCPX Effects library. Browse through the variety of Proto presets. For this example we will be using the Pro-X three preset. Click and drag the preset directly on top of your media. Then select your media and go to the inspector window. Let’s begin by adjusting the Color Effect amount. This slider adjust the intensity of the color preset you have chosen. You can then select a blur effect. Next we will adjust the Border Parameters. First you can decide if you want a border or not by simply clicking the Border checkbox. You can then adjust the Border Width and Height. Once you have the Border Parameters set you can move down to the Circle and Gradient Blur Parameters. Depending on what Blur setting you chose above is the blur section you will adjust. For this example we will cover both sections. We will start with the Circle Blur Parameters. Begin by adjusting the Circle blur center and circle blur amount. You can make these same adjustments with the on screen controls in the viewer window. Click and Drag the center control puck to the position the circle blur. Adjust the blur amount by clicking and dragging the outside of the circle. Next we will go over the Gradient Blur Parameters. In this section you have two gradient blurs that are on the right and left of your screen. You can adjust their position and amount by adjusting the designated sliders. These same adjustments can also be altered with the on screen controls in the viewer window. Clicking and dragging the far right control puck controls the end point of the blur. The far left control puck controls the start point of the blur. Now for some Final Touches. Photo: Volume 1 comes with a wide variety of different photo filter presets which you can combine to make a new authentic filter. Take advantage of all the opportunities and add another preset your media. Where do I find Proto Volume 1? Once the installation is complete, you can find Proto Volume 1 in the FCPX effects library. How do I apply Proto Volume 1 to a clip? First select the clip you wish to effect in the timeline. Then scrub your cursor over the Proto Volume 1 presets in the FCPX effects library to preview them in real time. How do I customize the look of Proto Volume 1? 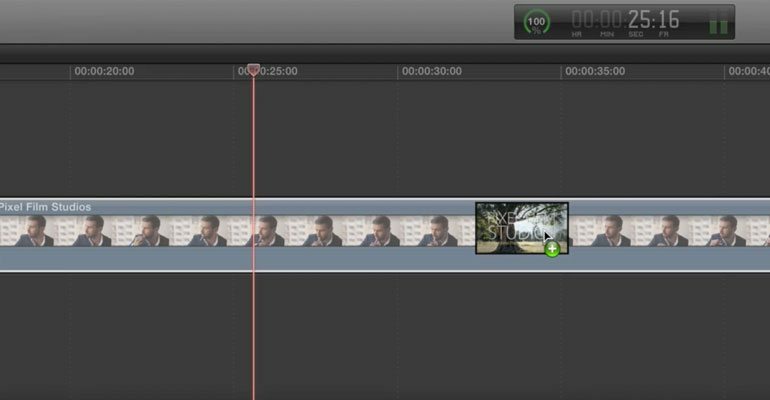 Once you have applied Proto Volume 1 to a clip… Select the clip in the timeline. You will see a new set of parameters in the FCPX Inspector. Use these parameters to control the look of the Proto Volume 1 effect. How do I copy Proto Volume 1 settings?